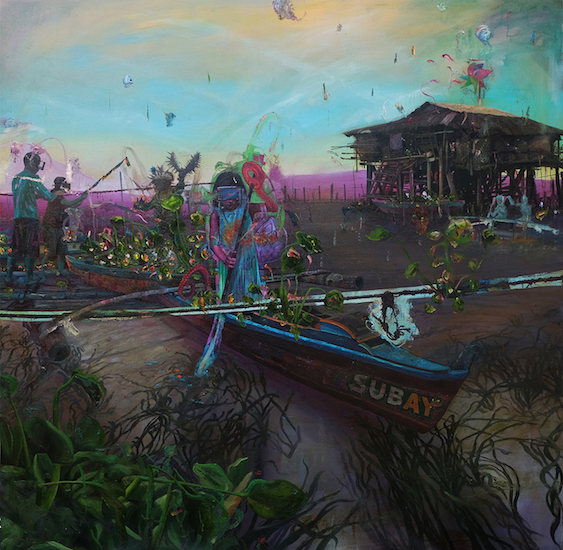 Yavuz Gallery is pleased to present Above Sea Level, the first solo exhibition of Filipino artist Ronson Culibrina with the gallery. 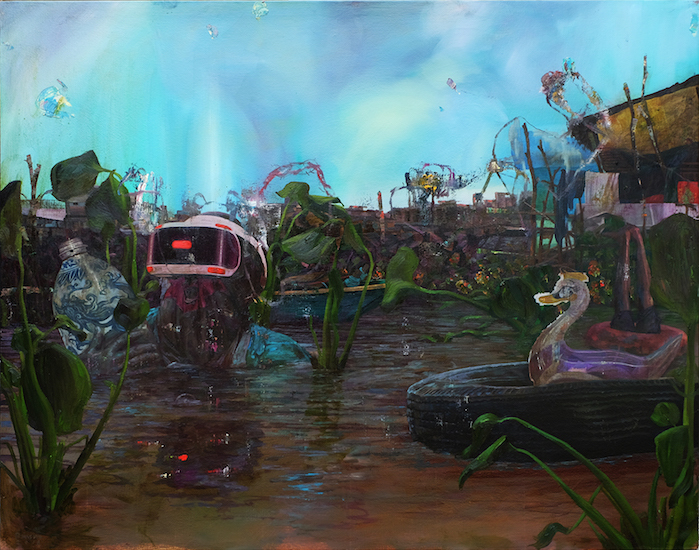 The exhibition is curated by Ruel Caasi in collaboration with The Working Animals Art Projects. 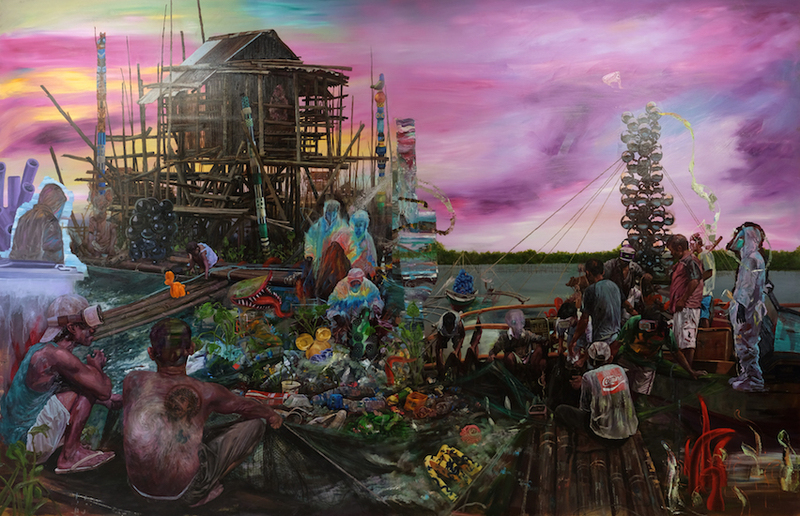 Above Sea Level presents scenes of a coastal town on the verge of decline due to human exploitation. 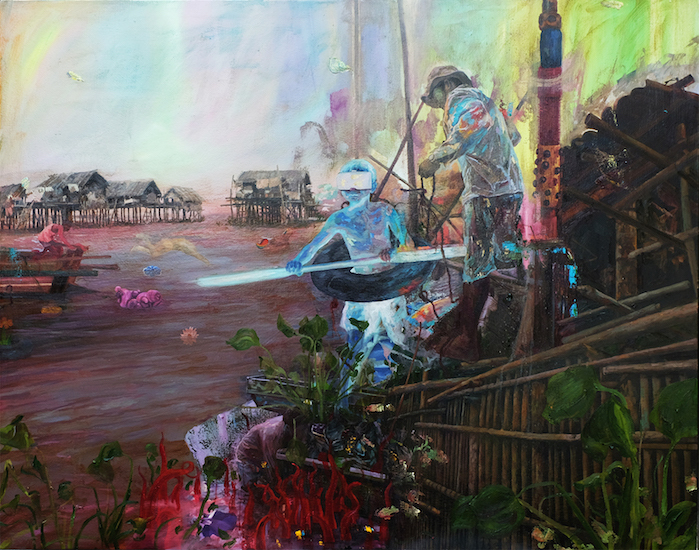 Inspired by a crisis confronting the artist’s own hometown in the Philippines, Culibrina’s new works tell the tale of a town amidst a conflict between survival and progress, struggling to preserve ecological harmony and balance. 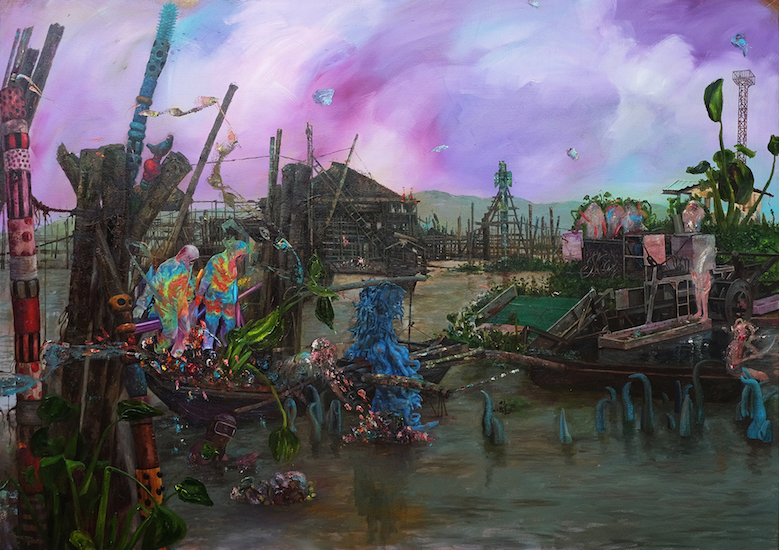 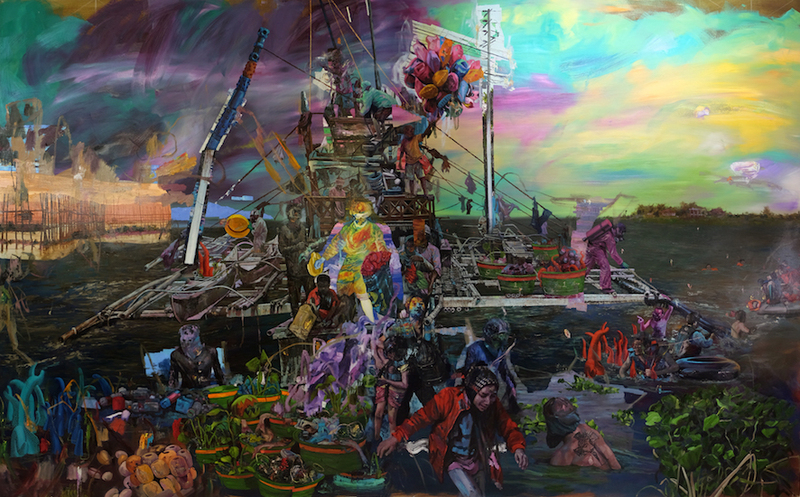 Culibrina veers away from apocalyptic, desolate depictions of a moribund ecosystem, instead visualising this conflict through frenzied, carnivalesque seascapes that appropriate humourous pop-culture references both formally and conceptually. 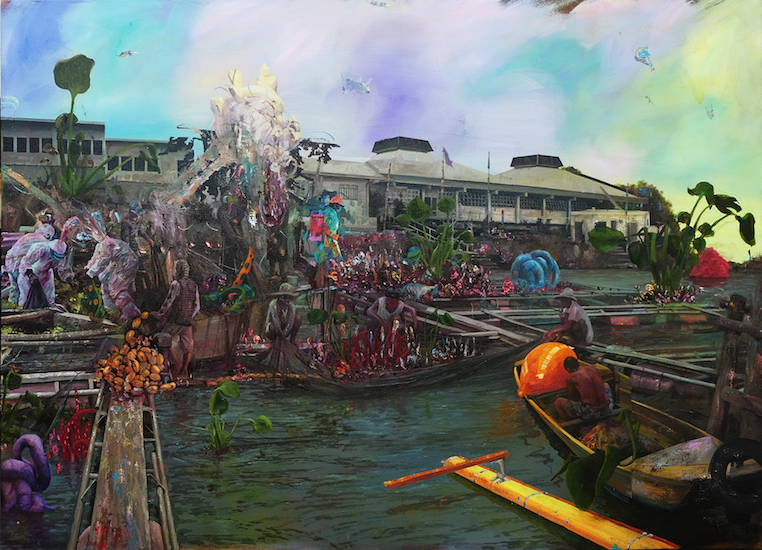 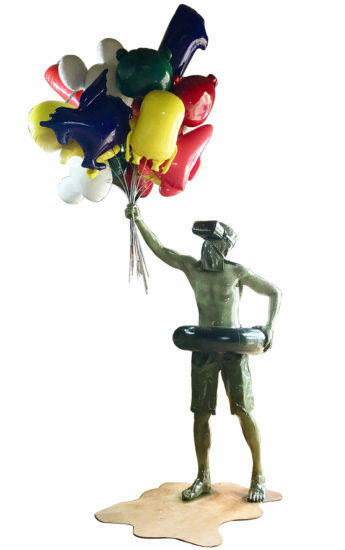 A crowding of stilt houses, boats and fishermen sit amongst a floating McDonald’s sign and Balloon Dog by Jeff Koons in one painting while Yayoi Kusama’s polka-dotted tentacles rise up from the sea in another, chasing fishermen donning virtual reality sets. 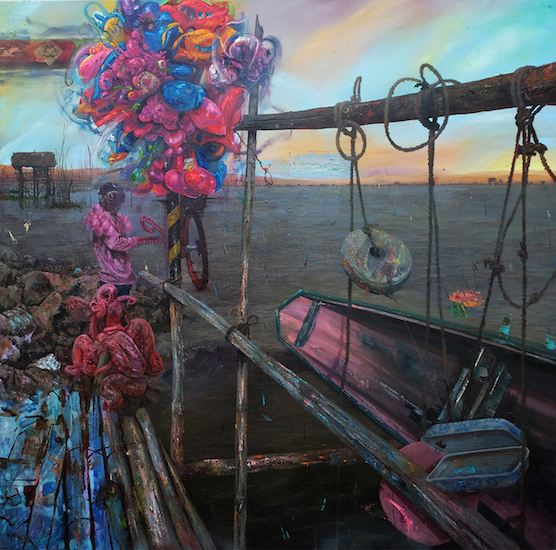 These interventions create chaotic yet playful scenes that picture an environment’s deterioration from the forces of exploiting resources through both traditionally-established means and contemporary technologies. 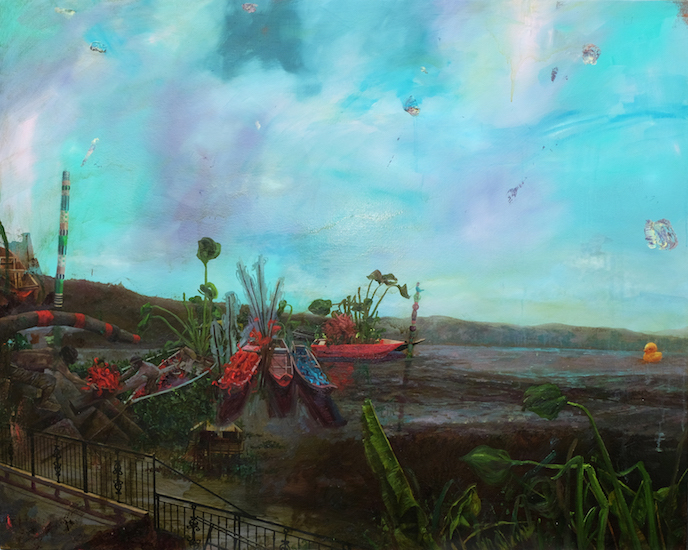 Above Sea Level captures Culibrina’s reflections on his formative environment and the anxieties emerging from its rapid transformation, resonating with larger, global concerns of society’s unsustainable and adverse mass consumption of the natural world.